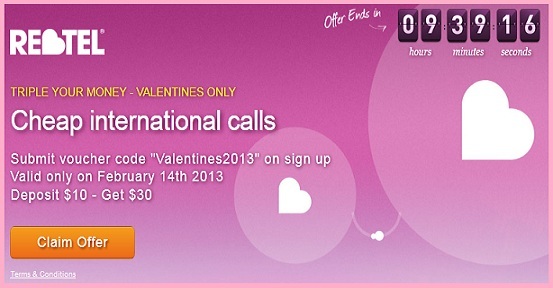 February 2013 | Free Pc to Phone Calls, Free Voip Calls to India International ! Smart Box (Intelligent box) for television are quite popular in western countries specially in United States. Interestingly people in India have also welcomed this unique gadget and are infact liking it. Apple recently officially launched Apple TV in India at very attractive price of Rs 7000 and many people are considering purchasing it. We have already reviewed this gadget, describing all its features, price and installation guide. If you are confused whether you want to buy Apple TV in India, then you surely need to check out our that post. It will help you making an informed decision. Apple TV comes in three variants (or three generations of Apple TV are already launched). So the question is whether you should be buying the latest Apple TV (Generation 3) or an old refurbished Apple TV 1 or Apple TV 2 (which will obviously cost you less). Another thing is if you already have Apple TV 1/2, then should be upgrading this to Apple TV 3. By the end of this post, you should be able to make a decision. Below is a comparison between "Apple TV 1" Vs "Apple TV 2" Vs "Apple TV 3"
It features a 1GHz Intel "Crofton" Pentium M processor, an Nvidia GeForce Go 7300 graphics card with 64MB of VRAM. Same Processor as first generation. No upgrade here. Upgrade to the A5 processor and a new streamlined interface. The main advantages of Apple TV1 is that it has hard disk. Apple TV 2/3 are streaming only, ie, no hard drive. Many people used to store movies/music on the hard disk and watch them anytime. Why would use your bandwidth everytime you watch a already stored movie (though you can stream it from your Mac/iPad). Interestingly, some people use Apple TV 1 as a storage device and portable convenient carries. The other things is that they can connect to TV's through Red, Blue, Green Component Cables. Another interesting this about Apple TV1 is that it can be hacked and used a mini computer (linux) where you can store data and take it with you. Also it consumes very less power (without the need for internet). About AppleTV1, some people complained that its super flaky and kinda liked AppleTV2. It always starts up when you want to use it, no sluggish menu's, no waiting for a sync to happen before doing anything and it has a much better remote control. 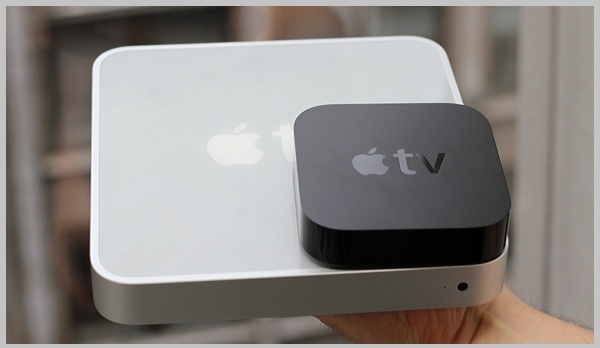 Best thing about AppleTV2/3 is that they are quite small as compared to its older version. ATV2 displays more data, and for reasons that are also technical and spec-related, image quality (bit rate, for example) is superior on Apple TV 2. Between AppleTV2 and AppleTV3 the only thing is video resolution playback difference (720p Vs 1080p) and off course processor. 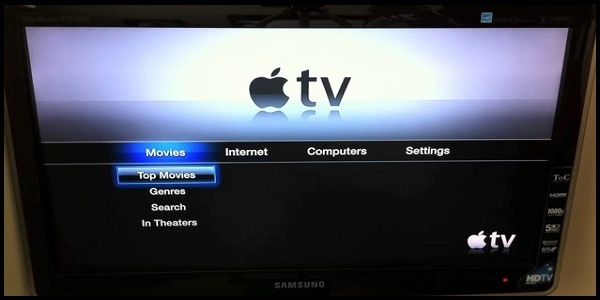 - There are many new features in Apple TV 2 and 3 which you definitely miss in your first generation. Plus the cost is not high and it always good to keep yourself updated. Go ahead and buy 3rd Generation Apple TV. - There is no hard disk in Apple TV 2/3, if you are too much tech savy and have made it a linux computer box then you will miss this option. Don't upgrade! - There is very minor difference between second generation and third generation (only the 1080p playback vs 720p HD playback). I don't think it makes sense to buy a new device (upgrade) for such a small feature. - Go ahead and buy third version of Apple TV. Its a good device. If you want to list down any of disadvantage or advantage of any Apple TV1/2/3, then you are most welcome. Please share your views in comment section. 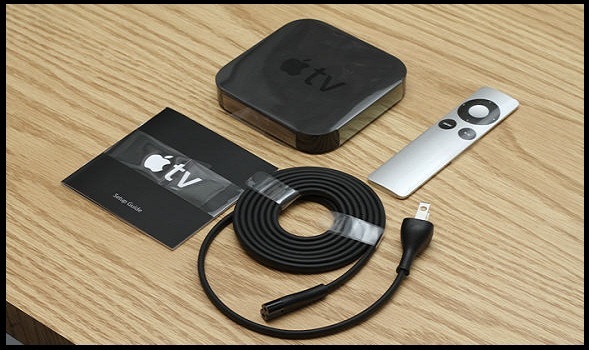 Once you purchase Apple TV, you will face certain issues (which are quite common). We plan to cover a post on these common (and not so common) issues. Make sure you read that post and it will help you make full use of your device. Finally Apple TV is launched in India and it is the perfect timing. This post is dedicated to Apple TV, its features, installation procedure, price and availability in India. We all have been quite used to surfing internet on our computer (PC), laptop, mobile and tablet as well. You must have watched youtube videos on your mobile and tablet but how about watching youtube videos straight on your television set. How about making video calls from your television set. How about connecting your iPad with your TV (wireless connection). Apple TV is a smart box and many people confuse this with an actual television set by Apple (which is yet to be launched). We will try to capture all the details about this smart box and by end of this post, you will know everything about Apply TV. Apple launched iPod in year 2001 (which was just a digital music player). Then came the iPod Touch devices which were soon followed by iPhone. All these were game changer and created some revolution in industry. iPad devices were also liked among the users and still has the highest share in tablet market. The question now is will Apple TV bring another revolution. What is Apple TV ? Is this a real Televison ? First thing first, Apple TV is not a television. Don't confuse this with iTV (which is still in rumors) which is supposed to be a television. Apple TV is a smart box which can be connected to any television. Let me explain in simple words about this smart box. Your television always has been one way communication, nothing interactive. It is not intelligent. Apple TV (which is basically just a small box which connects to your television set) brings this intelligence in your tv. 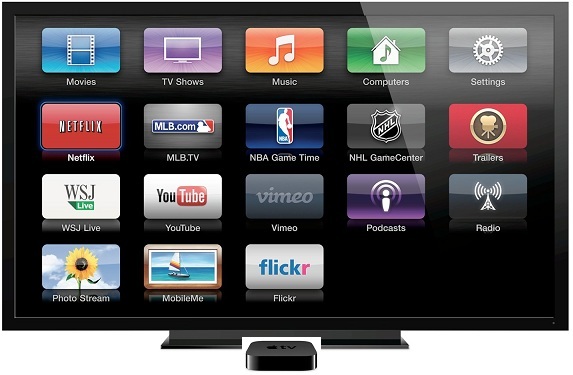 Apple TV allows you to access internet on your television set. It allows you to stream the videos/photos online (play the data uploaded on your iCloud account) or from websites like Youtube. You can directly play movies and songs from internet on your TV. That's not all you can directly stream your iPhone/iPod/iPad content on your TV using this Apple device. All these things becomes clear when you will read our section on its features. Apple TV Price in India : Where to buy ? 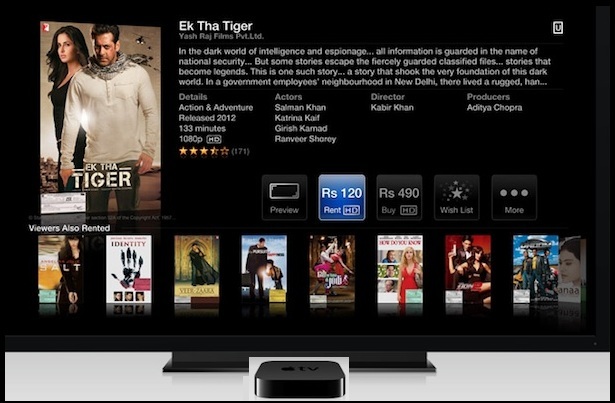 Apple Tv is officially launched in India and it should be available in all the apple stores in our country. You can visit any official reseller and buy this product. - You can also buy this device online. Many online shops have started offering this device. Here's one example : from Rediff. - Apple TV Price in Unites States of America is just $99. So if any of your friend or relative is traveling to India, just ask them to bring this along. Even if you take the dollar cost to be Rs 55, it will cost you Rs 5500. (That's almost 30% cheaper if you buy from India). - You need a television set (Full HD/HD Ready). LCD or LED both works! - High speed internet connection : 1080p HD movies require a recommended speed of 8 Mbps, 720p HD movies require a recommended speed of 6 Mbps, while SD movies require a recommended speed of 2.5 Mbps. - Television should have HDMI port to take content from Apple TV. - You will require either wired internet connection or a good wifi signal. - HDMI Cable (not provided in the Apple TV Box). It costs anywhere between Rs 100-400 (depending upon your location). The below procedure is assuming you got purchased this in India. If you got it from USA, you need to buy a USA to India power adapter (because of 240V and 120V difference). Don't directly connect the USA adapter to India power plug (it can damage the adapter/device). Step1 : Open the box, take the Apple TV device out. Connect the HDMI cable (one end into the Apple TV device and other end into your television). Step3 : Turn it on. Step4 : You may see some home setup screen (license and all). Step5 : Home and Setting screen will appear on initial startup. Step6 : If you are using wifi, then go to settings : general settings and select the wifi network. You will need to add the password and all (if its protected network). Apple TV also allows you to configure automatic DHCP network settings or Manual network settings. 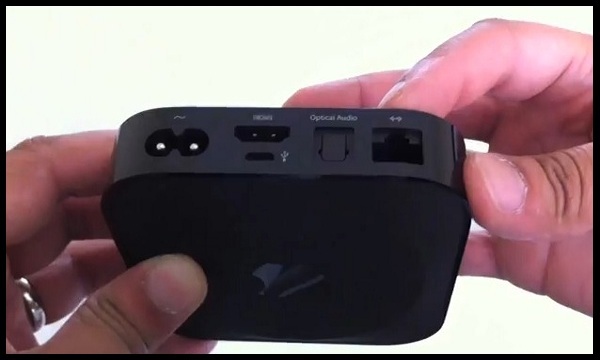 Please watch the video below for more detailed installation procedure of Apple TV. The same works for India as well. This is the main section of this post. We will discuss all the major features of Apple TV Device. We will also list the features which may not work in India. Before you buy this device, analyze it fully and make an informed decision. - You can buy movies/songs from iTunes store and watch the same on your Apple TV. - Free List of Streaming Radios from all over the world. Apple TV supports a feature called Airplay which allows you to stream the contetent wireless from any iOS device (iPod/iPhone/iPad) or iTunes (Mac as well as Windows) to the Apple TV. It can also be used to wirelessly mirror the display of iOS devices as well as Macs. You have already logged on to your Apple TV using your Apple ID. That means, you can watch the content uploaded on your iCloud (which is also synced with your Apple ID) directly on your television set. 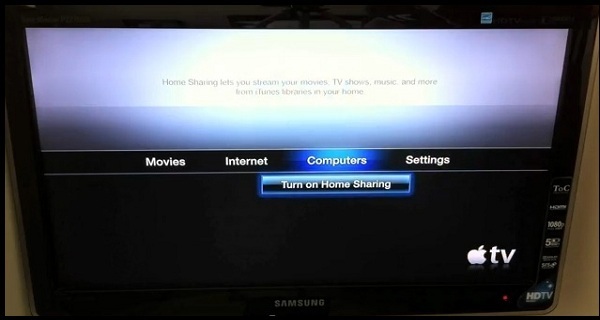 You can watch movies/songs/pictures uploaded on your iCloud straight on your television set (using Apple TV). The thing is Apple TV does not bring any Camera. Moreover this also does not allow you to install Skype on your television. Please note that just buying this Apple TV does not mean that you will be able to make video calls on TV. We will do some more research on how Apple TV can allow to make voice/video calls on television and will update this section. Following video content streaming apps will not work in India. All these are not supported in India. That means you cannot watch your favorite television shows as these are available on apps supported for Android. Many Bollywood movies are too costly on iTunes (which are cheap/free on Indian TV apps). Because of this its a tough choice between Apple TV or any other Smart Box based on Android. I know many of you have already brought the Apple TV and are facing problems either in its installation or using its certain features. 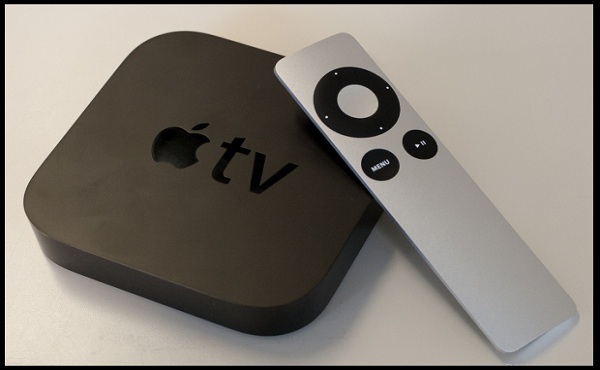 We will soon be writing another post, a FAQ (common problems) related to Apple TV. If you have are planning to buy Apple TV then also you should read that post, because you never know that any problem proves to be blocker for you (and you decide to buy any other smart box). In this post we will be listing all the Nokia and Samsung Mobiles which supports the Whatsapp application. 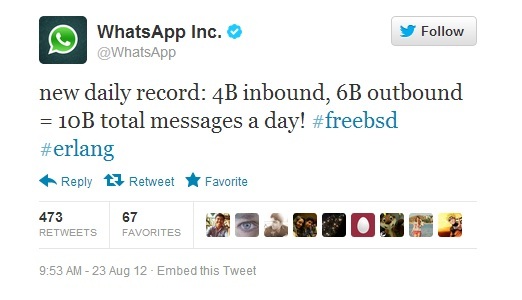 When we talk about internet messaging (or photo/videos sharing application), what comes to our mind is Whatsapp. It has gained so much popularity that if someone says to me that he/she is not using this app, then I am like .. seriously.. Dude you are missing some great stuff. It is definitely the best IM app available for almost all the platforms. Few years back all my blackberry friends were using BB Messenger, but now almost all of them are using Whatsapp on their Blackberry Mobile now (and have reduced the usage of BB Messenger). When people are looking to buy mobiles, the requirements they list down are "Camera, MP3, Facebook, Whatsapp". This application has become one of the major deciding software when buying a new mobile. Even if you are buying a low budget phone then also Whatsapp is a must have. This application works on most mobiles now a days. It is available for Nokia Mobiles and all the phones supporting Android iOS. Many people ask us the question which is the cheapest Nokia/Samsung Mobile which is compatible for Whatsapp. So we decided to do some research and list down Nokia/Samsung Mobiles which supports the Whatsapp Application. 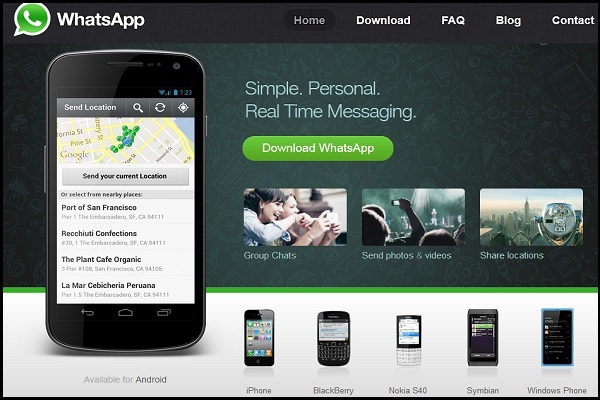 If you have already bought new mobile and found that Whatsapp is not compatible with your mobile phone, then you should consider using the Whatsapp Application on your Computer. Whatsapp supports a wide range of Nokia Symbian phones, as well as select S40 phones. Whatsapp works on phone running one of the following operating systems: S40, S60 3rd edition, S60 5th edition, Symbian Anna, or Symbian Belle. I would say if you want to buy a Nokia Phone Compatible with Whatsapp, then avoid buying Nokia S40 Series. There are certain ways by which you can make your Nokia S40 Mobile run Whatsapp. - Go to Settings => Configuration => Preferred Access Point. Select Mobile Office. - Go to Settings => Configuration => Default config settings. Delete the config settings. - Go to Settings => Configuration => Preferred Access point. Select Vodafone Mobile Connect. So many people are using this app on their phone. Check the tweet below.. In order to check whether a Samsung Mobile is compatible with Whatsapp, then you need to check what operating system it is running on. It will be running either Android, Bada or Windows OS. - Your Android phone is running Android OS 2.1 or later. - Your Android phone is able to receive SMS or calls during the verification process. Whatsapp is not supported on tablets or Wi-Fi only devices at this time. Officially not supported yet. We will try to figure out if we can help you use Whatsapp on bada mobiles (by some not so straight ways). We have already listed these types of phone in the above table. If you have any doubt, any question or any concern, then please let us know in the comment section. We will be more than happy to help. If you have a friend or family member living in Egypt and you have to make lots of international calls to him, then you know how costly it can be. Calling Egypt from India easily cost more than Rs 15 per minutes and if you are calling from USA then it can cost you about 20 cents per minute. You end up paying huge phone bills and still do not get the satisfaction that you have had made enough calls. Though we have posted about some offers about making free calls to Egypt but these are of limited duration and at some point you have to buy credit to make more calls. Even if you go with any voip provider for cheap calls and select any pay as you go option, you still have to pay lots of money (as call rates are high). So you have two options depending upon your calling needs (the number of calls you make to Egypt and the call duration). 1. If you make too many international calls to Egypt, then choose any unlimited package where you have to pay some money monthly. 2. If you make less calls to Egypt then choose Pay as You Go option for any voip provider and make calls. Check our calling rates comparison for Egypt. - The first 900 minutes used each month to 20 area code will be free. Calls above that limit will only cost $0.079 per minute. 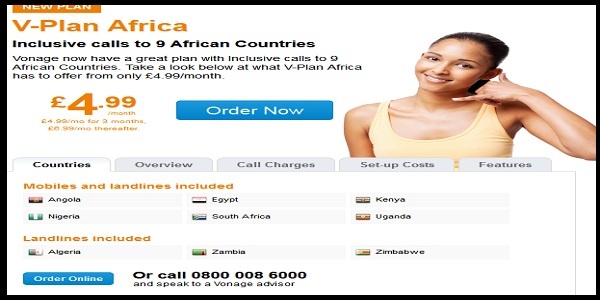 - Vonage now have a great plan with Inclusive calls to 9 African Countries. Take a look below at what V-Plan Africa has to offer from only £4.99/month. - £4.99/month is for first three months and it will be charged £6.99/month thereafter. - You can use your existing broadband and telephone to call Egypt. Anyone who calls Egypt knows how expensive it can be. 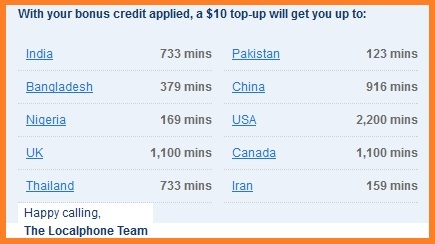 - Also make unlimited calls to Angola, Nigeria, South Africa, Kenya, Uganda, Algeria, Zimbabwe, Zambia under the same plan. - Low pence per minute rates after the inclusive 100 minutes are used up. Its an expensive plan considering you will only get 100 minutes of calls. - You can get 700 minutes for 45 Euros per month. - You can choose a lower minutes plan (120 minutes) for 12 Euros per month (but that comes to an effective price of 10 Euro cents per minute). I would say if you are choosing Skype then just don't. Even if you go with Pay as you go option of any other voip provider, it will be less than Skype monthly subscription. We may have missed some of the unlimited calling options to Egypt. If you are aware of any such voip provider offering monthly packages then please let us know. We will surely include that in this list. Hug day, Kiss day and we have now Valentine Day's. It is the day when every husband/boyfriend just want to make her wife/girlfriend feel very special. But what option do you have if you are far away from your love (you being in USA and your gf is in India). Well atleast you can call her and talk to her for hours, that would somewhat make her feel better. The problem is international calls for such long duration can shoot up your phone bill. Don't worry you are following FPPC Blog and we will help you save a lot of money. Infact if you properly follow this you will be able to talk endlessly for just few cents. Hey guys even if you don't have any girlfriend/unmarried, you can still use the follow and save some money on phone bills. In this post we will post all the on going promotional offers specially made available for this special day "Valentine Day 2013". We won't be going into the details on how to use the respective service, as we have already covered that so many times on this blog. Also please note that all the below offers are promotional offers and won't last for long (infact some are valid for just one day). So you need to hurry and make use of them now, without wasting any further time. You will get 200% Bonus talktime on this Valentine's day. That is if you buy $10 calling credit, you will get $30 calling credit. This offer is valid with only the special link we have posted below. - Offer will start exactly at 00:00 hrs. - Once you register yourself with Rebtel then you will get a 5 min free call, make a use of that call by calling anywhere in the world for testing their service. - Use this credit to call any country in the world. - Pay using any service like Credit card, Debit card, net banking and lots of other services. - Get yourself a new phone number (create a free account on Google Voice as they give free USA phone number). - If you already have a new number then make use of that number for registration. - Follow the above steps (register using valentine promotional special link), with the new number. FriendCaller has started a puzzle game where they are offering free calling vouchers. As per them the idea behind this day is to show the other one how blessed you are with their presence in your life via words and actions both. 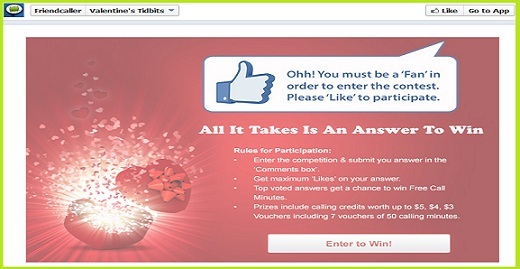 This contest named "Valentine Tidbits" is a puzzle game which you can enter irrespective of your age group. You can participate in this contest which is running on their facebook page. Each day they post a new game and participants with correct answers and max likes will get free calling minutes. 10 winners every day. The prizes vary from vouchers worth $3 to $5 (total about $50). Seems very interesting to me. If you don't want to spend any money and still talk to your loved ones, then show us your talent and win these voucher codes. You better get started now. If you are a localphone customer, then we have a deal for you. Infact we have many deals for you. 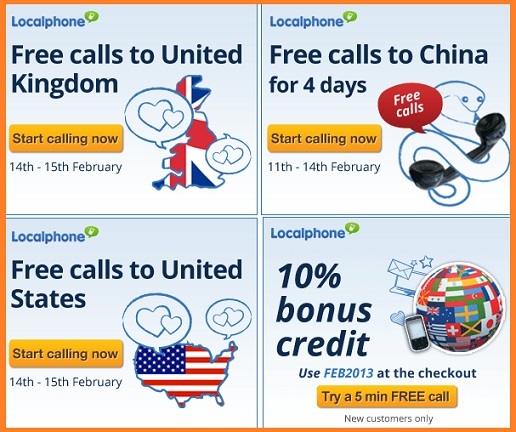 Localphone is offering multiple promotions this valentine. Yes you heard it right. Calls to above countries for free and you don't have to pay a single penny. Now if you want to sign up with Localphone (which you can do for as low as $1). - Use Voucher Code "FEB2013" and you will get 10% bonus credit on first signup. - Buy as low as $1 credit. - Excellent voice quality and just so many ways to make calls. Got information about another offer by Localphone. They mailed me that they wane to make sure you have enough credit in your Localphone account to talk to your loved ones this Valentine's Day, so they are giving 10% free credit when you top-up! Use code LOVE2013 at the checkout. Hurry, this code is only valid until 12pm GMT 15th February. Not exactly on offer but this is worth sharing with you all. Rebtel today announced the launch of a free Valentine’s Day app, called Re:Beat - a new way to declare your love on Valentine’s Day that’s far more personal than a card, a box of chocolates or even roses. It is available for iPhone, Android Mobiles and it lets you send a digital heartbeat to your love (does not matter where your love is). It is quite interesting on how it works. All you have to do is stick your finger on your phone’s camera, and the app will use the camera and flash in conjunction to detect your pulse by measuring the subtle changes of your fingers’ color. The app then creates an animated representation of your heart with timed sounds and vibrations (only on Android), which you can then send to a loved one via text, Facebook or Twitter. Check out the video below and you will love it. If we talk about voip services, then automatically 'Skype' comes to our mind. Large number of our blog readers use it daily for voice chat, video chat and international calls. Its my personal favorite for making video calls (I really like the video conferencing as well). Though I don't use it for international calls to normal mobile (the one's not using Skype) but still many people use it (the calling rates are a bit on higher side). To make such calls what people require is Skype Out monthly plans or some credit for Pay as you go option. If you have decided for buying credit with Skype or choosing a montly plan, then you should make sure that you use some bonus coupon code (which will entitle you for some free credit or discount). We have already explained in a tutorial about using Skype Voucher Codes and Coupons Codes, so once you have a working coupon code/voucher code then it should be a piece of cake for you. We decided that we will maintain this page for working promotional codes (all bonus codes) that Skype is offering. But to keep this page updated, we will require your help as well. If any of your code does not work then just let us know in the comment section (we will update this post based on feedback). If you are aware of some other code (on mentioned on this blog), then also share in the comment section. Use the skype coupon code "Skypegift" in the skype shop when purchasing a gift card. This discount code enables you getting 30% off on purchase of gift cards. For example you can buy $20 card for $14. Skype mentions following on its website about this offer. "We want to give you the very best of Skype free for a month. It’s an offer you can only get through this free trial and includes an unprecedented amount of features that’ll make it easier to catch up with those you love. So don’t worry about how long you talk, running out of minutes or what it’ll cost — it’s our gift to you, and it’s only available for a limited time." You can make free calls to about landlines in 40 countries and mobiles in about 7 countries. 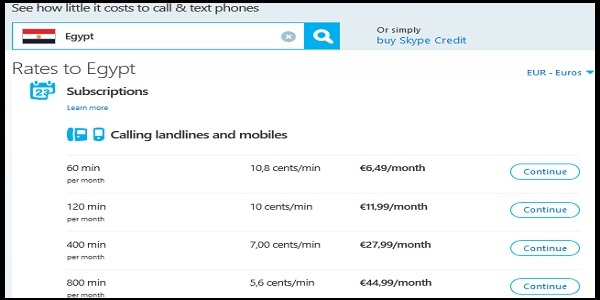 Skype will automatically set up a recurring payment after the trial has ended for €7.994 per month — that's more than 50% off the regular price. Want to cancel? That’s easy too. Simply visit your account within the first 27 days of your trial and you won't be charged a thing.We have also posted a tutorial on how you can cancel Skype account and get refund. This tutorial is all about using the skype coupon codes at the time when you are buying credit or redeeming the skype voucher code (which someone gifted you or you purchased from some local store). Skype has been always on the top of the list of voip providers. Large number of people use it daily for voice chat, video calling or international calls on mobiles using skype out credit. Before we go into the details of the tutorial, there are two things. One is the Skype Voucher Code which are sold in various retail outlets (this may also be gifted to you by your friends and family). These are 25 digit codes (famously known as skype vouchers), arranged into five groups of five characters. The first group is always “SKYPE”, for example “SKYPE-XXXXX-XXXXX-XXXXX-XXXXX”. If your voucher has a different format, for example, it has an 8 digit PIN attached after the code, you’ll need to delete the last 8 digits (PIN code) and then redeem the voucher. Another is Skype Coupon Codes (or the bonus codes). These coupon codes are some promotional bonus codes which you can use at the time you are buying skype credit. With these codes you will either get additional credit (or some discounts) or may be some free minutes. These are not necessarily of fixed length (and are varied depending upon promotion). 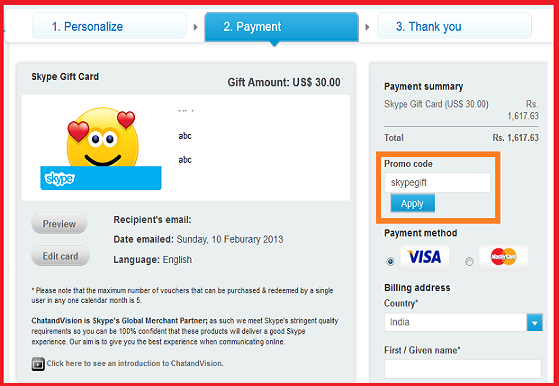 Examples are "Skypegift" etc.. You can find more such Skype coupons at this page. Step1 : Login to your Skype account. Step2 : On the left column of the page, click "Redeem Voucher. Step3 : Enter your voucher number. It can be found on the electronic voucher receipt you were given by the store. Other vouchers (like free promotional vouchers) may have a different voucher number format. 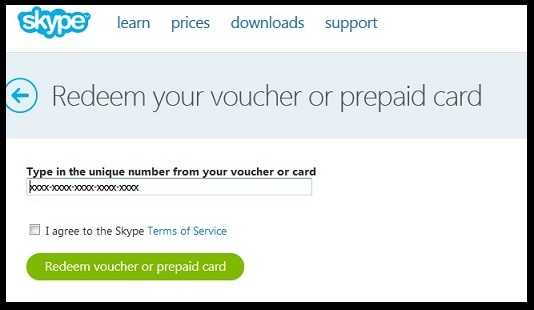 Step4 : Tick the box I agree to the Skype Terms of Service, then click Redeem voucher or prepaid card. Step5 : You will need to the enter the value of the voucher code. It should be entered with a decimal point and without the currency symbol. For example, $10 should be entered as “10.00”. Step6 : Click "Redeem Voucher or Prepaid Code". Your credit will reflect in your account within 15 minutes. Sometime when you enter the voucher code it shows that it is an invalid code. You need to make sure that the code is still valid (and not expired). If it is valid according to you, then please contact the customer care. They will be able to help you out. If you normally go and buy skype credit, you wont see a place where you can avail discount coupons. So you would actually need to go to some skype shop (or other retail shops) which are offering coupon codes. Step1: Login to your Skype Account or create one. Step3 : On the next screen. Click Add Credit to your account. Step4 : Select your payment method. Step5 : Enter the amount you want to buy and proceed. Step3 : Click on buy Skype Gift Card. Step4 : Enter all details. Enter your mail address in where you want to send this gift card. Step5 : In the next page, on right hand side you will see option to enter promo code. Just enter the coupon code or promo code there. Click Apply and make the payment. We hope this tutorial was helpful to you. If you have any question, please let us know in the comment section. Magicjack is one device which is just loved by so many people. It has been rated as product of year for past many years. 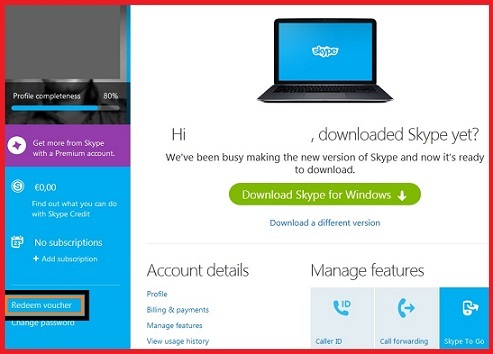 Named as skype killer, it has been adopted by many people in USA and Canada. Infact people in India have also started using Magicjack and its updated device (Magicjack Plus). It allows you to make Free Calls to US and Canada (from any country where you are using this device). As it also offers an application for iPhone/iPad/iPod Touch, so many of our blog readers are also this application for free calling. The good thing about the app is no credit card is required to use this app (its purely free, no strings attached) and allows to make free calls as well. But the bad part is that many people are facing problems in using this device or getting the application up and running. We thought to help our readers and find them solutions to all the problems related to Magicjack. The common issues (error codes) have been discussed below. If you do not find the solution to your specific problem then just let us know in the comment section. We will help you out! Q. If you hear error 1 while trying to place a call with your magicJack PLUS, it means that you are not connected to the Internet. A. Make sure that one end of the ethernet cable is plugged into your modem/router/switch and the other end into your magicJack PLUS. You also need to make sure that your modem/router/switch is powered on and that the port you have connected the magicJack to is functioning correctly. Step 1: If your magic jack plus is plugged directly into computer then be sure to unplug it restart computer then plug the device back in. Step 2: Only if you have it connected to a router and modem first unplug the modem then unplug your router ... leave both unplugged for about 15 seconds then plug in the modem and wait for all the lights to come on then plug in the modem, a lot of times this can solve conectivity issues. Q. Getting MagicJack Error 404. Q. How to solve this Error 23 Code problem with my Magicjack. A. This problem is related to the router configuration. Making certain changes with your router configuration can work with your MJ plus. Q. When I plug my MJ+ into the ports on my router, I get an Error 3002 message. A. Some of the common solutions which worked for people. - What worked for me is unplugging both the modem and the router, wait about 20 seconds, then plug the modem in first and wait for most of the lights to come back on. Then plug in the router and wait for all the lights to come back on. - I added it to one of the ports of the BELKIN and plugged the Ethernet cable from the MAGICJACK PLUS Ddirectly to LINKSYS port. - All I did was unplug my modem, router (D-Link DIR-615) and magicjack plus and re-plugged everything and now it works like a charm. Nymgo is no doubt one of the best voip provider. It started its voip service back in 2008-2009 and that time was offering cheapest international calls to many destinations. Many of our blog readers were using it for calling India from US. Now the service has revamped itself and its new avatar offers lot more ways to make calls, specially the mobile voip applications. We have already posted about how you can use Nymgo on android mobiles and nymgo for iPhone/iPad. Today we thought to cover a post on how you can use Nymgo on blackberry mobiles. If you check the blackbery app store or Nymgo website, you won't find any application listed for blackberry. I wonder why these voip providers don't want to cater to blackberry users. It was the same case with Viber as well (where it launched its blackberry application quite late and still does not offers lot of features on these phones). Anyhow this does not mean that our blackberry readers won't be able to use mobile voip and save on phone bills. We figured out a way by which you can use Nymgo voip application on your blackberry mobile (blackberry curve, bold or any other). - Please try to install the latest version of Nimbuzz voip client on your blackberry mobile. - You can find it here. - After that you will need to create a free account with nimbuzz. Select a free username and password. Login to Nimbuzz software. - Select setting and go to voip provider. Choose Nymgo here. - Enter the Username as "abcd@nimata.nymgo.com" and Password as your nymgo password. - Then go to dial number and choose nymgo. 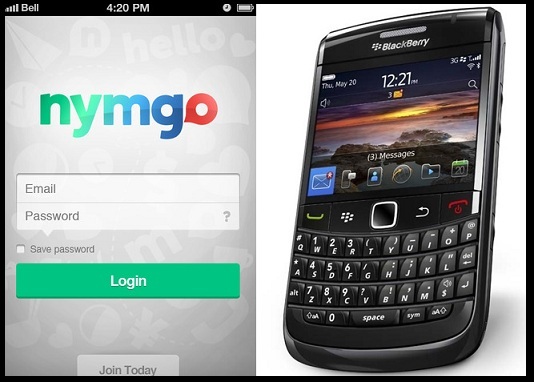 If you face any issue in using Nymgo on your blackberry mobile, then just let us know in the comment section. Infact we have setup an area where you can share your nymgo problems and we will find a solution to them. There are many reasons you should start using mobile voip on your blackberry mobiles. You are firstly paying too much on internet charges on your mobiles and then you pay on your phone calls as well. Does not make sense. Instead switch to voip (or may be Nymgo) for making national and international calls. Most of our blog readers are using a smartphone and almost of the ones which having smartphone are using mobile voip. If we talk about Smartphones then one phone maker which comes to our mind is Samsung. It has made really big in the mobile industry and all thanks to its galaxy phones range. This year as well we will see lots of new mobile phone launch by Samsung. This year is also being called as an year for phablets. To start with, Samsung has unveiled its new galaxy range mid segment phone (or we can call this as phablet) named "Galaxy Grand". This new phablet has created lots of buzz in the industry and among users as well. I see my friends asking about this new phone a lot (many of them are planning to buy this as soon it is made available in the market). It features a 5-inch screen and this device is equipped with a 1.2 GHz dual-core processor and 1 GB of RAM. The phone offers internal storage memory of 8 GB extendable through a microSD card. Other features are similar to other galaxy range phones but one thing which we noticed was 8MP autofocus camera with LED flash and a front-facing 2MP camera. I won't say that the camera was best among the galaxy range but it was quite good. 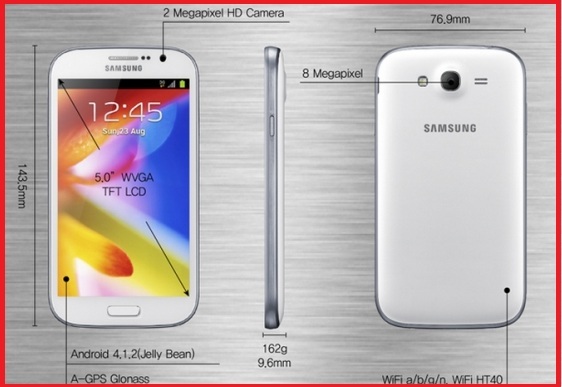 Samsung galaxy grand is available in two colors that is colors white and black. It comes packed with Android 4.1.2 (Jelly Bean). In terms of looks and sizing this one is quite similar to old galaxy note. Please note that it is not operable with one hand, you certainly require two hands to operate this (surely it is a phablet). Samsung has added too many features to this phone which include multi window support, popup video, smart stay, smart alert, S-Voice etc. But this has made the phone bulky and not sure whether this processor and ram will be able to support so much. It is not as fast as Note 2 or Galaxy S3. Samsung has launched this phone at low price (lots of cost cutting on this phone), but came at the cost of some essential things like Gorilla Glass protection and low processing power. In short I would say if you are already using Samsung Galaxy Ace Duos, Galaxy S 2 or S3 or note then you should skip this phone (there is nothing extra ordinary in this phone). But if you stuck with your old nokia mobile or a low budget smartphone which hangs a lot then Samsung Galaxy Grand is for you. We have heard that this phone will be made available in Indian market at just Rs 20000. It will be soon available in online stores (at less than 20K) and markets as well.